Inspired by Brazilian/Italian architect Lina Bo Bardi’s expressive use of lines and colour. Nipped in at the waist and flared out over the hips for a flattering silhouette, with contrasting fabric panels. 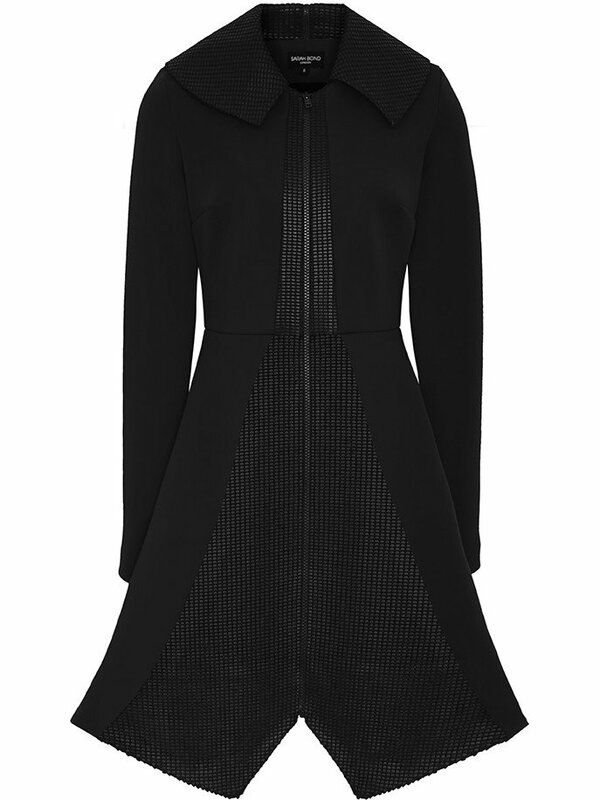 The dramatically textured collar adds a strong effect. 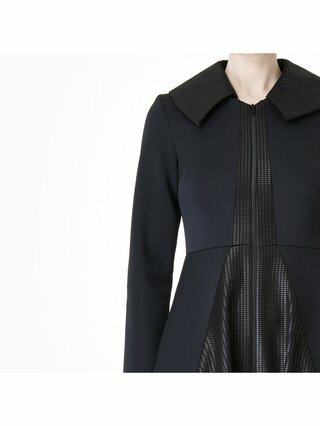 The perfect accompaniment to any evening outfit, layer over our Victoria dress for the ultimate pairing. Neoprene is a hi-tech fabric known for its durability and ability to withstand extreme cold and wind. Its elastic element allows greater freedom of movement, which is an essential part of the Sarah Bond philosophy. In stock and available for dispatch next working day. Model is 5’10 and wears a size UK 8 or US 4, AUS 8. Model is wearing size UK 8.